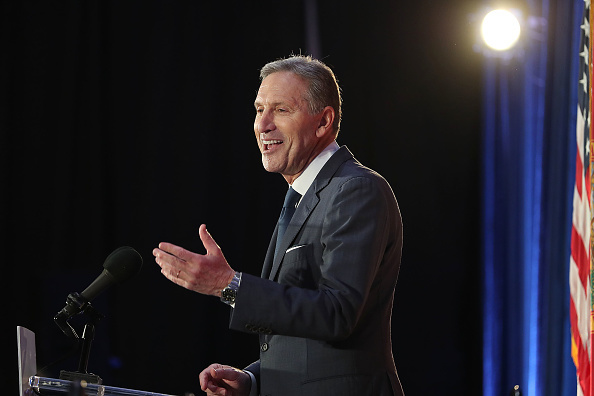 Former Starbucks CEO Howard Schultz is considering an independent presidential bid, and one way he’s demonstrating his moderate credentials is by opposing the Green New Deal. In February, Schultz slammed the Green New Deal directly, calling the bill “immoral” and “unrealistic.” As someone who built businesses and operated real estate, Schultz knows that the Green New Deal’s trillions in spending and promises to retrofit every building in the country are impossible. “I read that by 2030 they’re suggesting that every building in America becomes clean energy, conforms to clean energy, just to put that in perspective, because it’s not realistic, that would mean that between 2,000 and 3,000 buildings a day would have to be reconstructed to conform to what they’re saying,” said Schultz. This is undoubtedly another swipe at the Green New Deal, which most 2020 Democratic presidential candidates have endorsed. The Green New Deal includes a guaranteed job, cash for those unwilling to work, a government takeover of healthcare, and a retrofitted home for all. Except, none of the plan’s proponents have said how they’d pay for any of it. Just this week, Massachusetts Senator Ed Markey, the Senate sponsor of the Green New Deal, couldn’t even come up with a price. “He doesn’t have a price tag,” reported the Boston Globe. Howard Schultz is right when he calls ridiculous policies like the Green New Deal a fantasy. Hopefully, more on the left will follow suit and begin addressing energy issues in the real world.